Joe Root is convinced England can benefit from Ben Stokes' desperation to get back to cricket after he was recalled to the Test line-up. Stokes missed the second Test against India at Lord's as he stood trial in Bristol facing a charge of affray, but he is back in the team following a not guilty verdict. Sam Curran is the unfortunate man to miss out at Trent Bridge, with Root speaking to Stokes privately and assessing his fitness and mentality before making the decision. 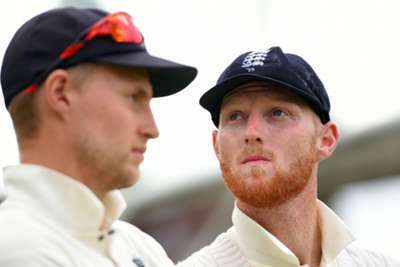 "[Stokes] is just desperate to get back playing cricket, to make that his main focus moving forward," Root told a news conference after announcing the team. "I sat down yesterday [Thursday], just me and him, and asked him where he was at. He told me that he's desperate to get out there. He wants to put in performances and concentrate on his cricket now. He feels ready to play. 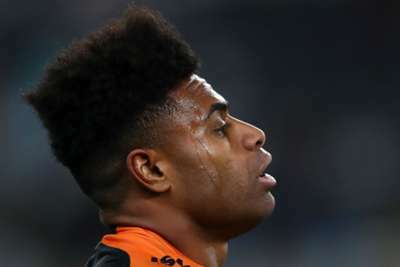 "We assessed his fitness over the course of the two days and made that call. "As a team now, we've just got to make sure we have five days of good, solid cricket. We've got a big opportunity in front of us, but we've got to start well on the first morning and try to carry that forward." Although Curran lacks the experience of his team-mates, Root insists that did not make it any easier to leave the Surrey man out. "I think the difficult part is the fact that everyone is performing so well," he said. "Some people would see that as the easy option, to leave Sam out, but he's offered so much to this bowling group. "At the start of the series, I said to the team: for us to win a five-match series against the best team in the world, it's going to take more than 11 players. It's about us, as a squad, performing collectively for five games. "He's played a massive part in the first two and it might be that he comes back in later on."